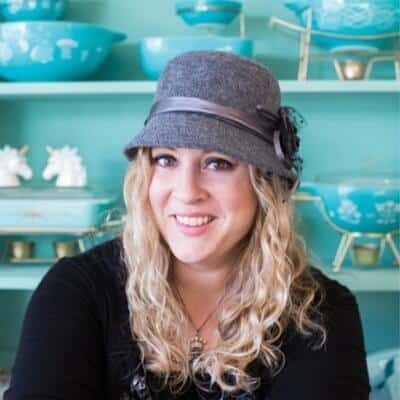 Back in the early spring, I came to the realization that I needed to organize, re-design and tailor The Kitchen Magpie website to suit my “voice” (oh, that blogging word I hate to love) and gear it up to represent where my writing comes from far more than it does now. There were a few key turning point in this decision, mainly from outside sources that inadvertently were telling me the direction to take and I thank them for it. There will be stories to come. You’ve seen the new section, The Wild, which has started to compile my “Canadian Voice”, featuring recipes from my heritage, my love of the outdoors and family traditions of fishing and hunting. You wouldn’t know it yet, but there’s a new site in the works. Oh my, is there a new site! For the first time ever, I’m having a professional design it and while she does that, I am working in the back-end of WordPress to clean and organize this website. With that said my heart’s greatest desire for this website redesign that I conveyed to my designer way back in March was that I needed this website to almost shout to the rooftops that I am a Canadian writer. In a polite Canadian way, of course, which would end up being more like a whisper than a shout. Of course, I would have to apologize for any way that I might have given off the vibes I was an American blogger as well. Totally sorry about that, eh? So when Valerie of A Canadian Foodie announced her initiative a few weeks ago to encourage Canadian writers to band together and start writing about what makes us uniquely Canadian it couldn’t have come at a time more in sync with the direction of this website. I readily hopped on board and can’t wait to see where this crazy Canadian food train takes me. I’m of the humble opinion that what makes us so uniquely Canadian can’t be pinned down to a named cuisine, although the word “poutine” is bandied about so readily when we talk about Canadian food you’d think it was the only fare we had. The way my ancestors came over to this amazing country, settled in rural Manitoba and started creating food with not only what grew naturally around them in the wild, but with what could be grown in the soil that they tilled and cleared until it was farm-worthy states more about the Canadian food experience than gravy and cheese curds ever could. I truly cannot remember a time in my life when there wasn’t wild fish to eat, whether fresh or canned by my Grandma. Home or at her place, wild caught fish has been a staple of my family’s table for as long as I can remember. This picture of me, a family favorite that my parents love to pull out whenever there is company, pretty much sums it all up. 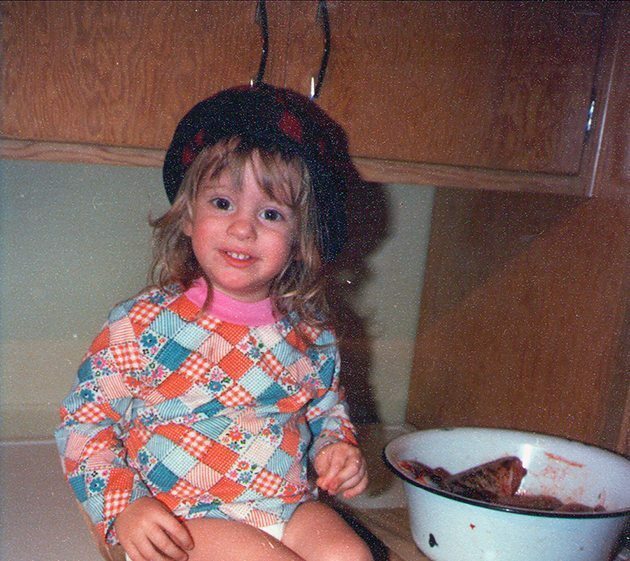 I can’t remember this age, where I am around 2 years old, yet this could be any evening meal at my Grandmother’s house. Note how my lovely shirt dates this waaaay back to the 1970’s. I’d also like to point out that my chubby thighs will never, ever be displayed like this again, so enjoy it via my childhood pictures. These chubby thighs of mine aren’t “cute” any more. which I find inherently unfair, but what’s a girl to do? It looks like Northern Pike fillets in that dish beside me, a favorite of ours but it could be any fish native to Manitoba’s vast lakes. Our family tradition of eating wild caught fish didn’t end with us moving from Manitoba to Alberta, indeed, the fishing seemed to get even better because we were older and more capable of fishing properly by ourselves. 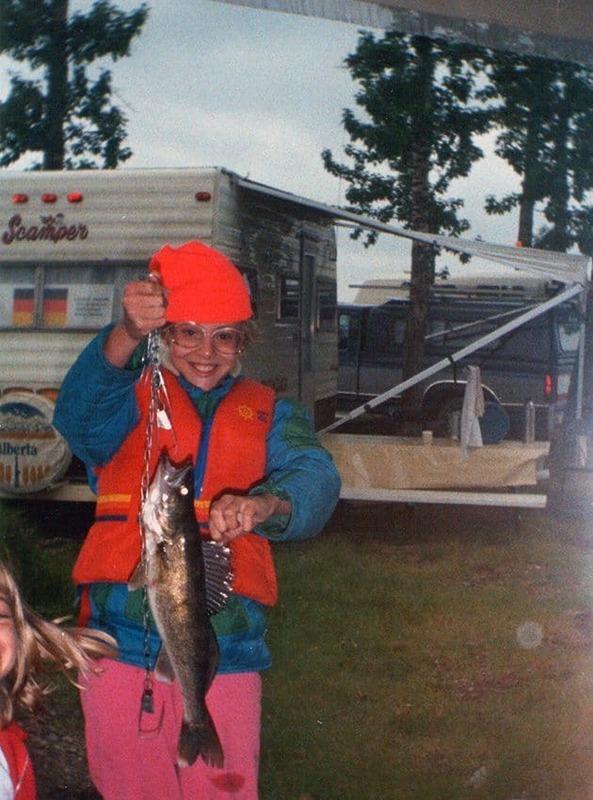 While my fishing skills improved, my fashion sense did not. However, if I had to choose between killer fashion or catching killer Walleye, catching Walleye takes it every time. 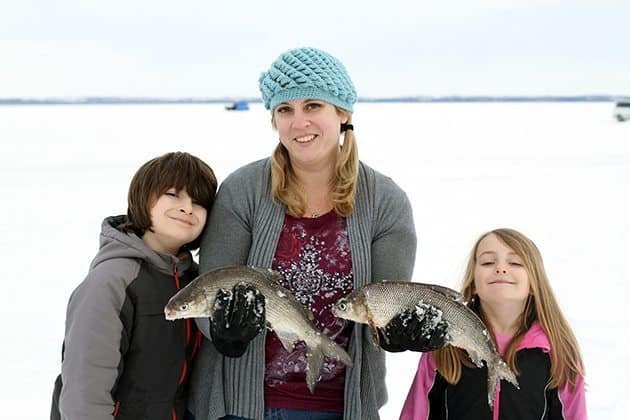 My love for fishing has never died down but I had to bank the embers of my fishing passions to embrace the role of “Mother.” Having two children two years apart, with your life utterly consumed and taken over by breastfeeding, diapers, toilet-training and more doesn’t lend many women a single spare moment to enjoy outdoor pursuits. As it is with all beautiful things, time marches on. The bitter-sweet pain of your children getting older, the heart pangs that come from seeing chubby toddler thighs turn into strong, lean young legs that run away from you in a different manner, is thankfully tempered by the realization that they are ready to learn how to fish, to forage,to take part in what so many other’s miss out on. One day you turn around and realize that your children are ready to be taught. And so it begins. Berry picking when they are small. Mushroom picking. Fishing lines in the water when they have the patience to wait and not poke their brother’s eye out. They are ready to learn, to embrace, to dive right into what I consider our strongest Canadian family food tradition, one where you catch your own meal, clean your own meal and then eat the bounty that Nature provided for you that day. You don’t even want to hear our conversations about fish guts. I might just video it one day. The most beautiful part of my first Canadian food memory is that I am passing it on to my children and with that simple act I am creating new memories for my own children, a beautiful circle of Canadian food life. My heart almost feels too full with happiness to know that these Canadian traditions are being passed on to my children, that we aren’t letting these traditions die with the almost suffocating crush of technology that exists today. That one day if my children ever were asked the question of what their first Canadian Food experience is that they might answer the same as I just did. What a fun project this is going to be! What’s YOUR first Canadian food memory? Fish? Venison? Saskatoons? We all have them, you might just have to dig deep to remember! Stay tuned for the big, wonderful changes coming here to The Kitchen Magpie. There are so many exciting adventures in the works! Shari, I went and read your post, so lovely! I can’t wait to see more out of this project! When I first saw Valerie’s round up, I was thrilled to see that someone else submitted a picture of them as a child. When I first started scrolling, I was afraid I was the only one! Then, I clicked on your link only to realize that we have led very similar lives. My entire childhood was spent outdoors, fishing, hunting and camping, with my dad and whoever else he could convince to come along. Now, while I don’t have children of my own, my husband and I teach what we know about food to our nieces and anyone else who will listen. Who knew that all those messes you got into as a kid would be so beneficial as an adult!? It’s Saturday evening and I’m having a ball reading the amazing excerpts being posted for this project and meeting fellow Canadian bloggers. I really related to what you talked about in wanting to be seen and known as a Canadian. \I made a similar decision this winter and though part of my blogging identity is doing recaps of American food shows, the rest of me is 100 percent Canadian! I really enjoyed this post. @Lyndsay Wells I find a lot of Canadian bloggers echo that same statement, especially when it comes to being thought of as American right off the bat. 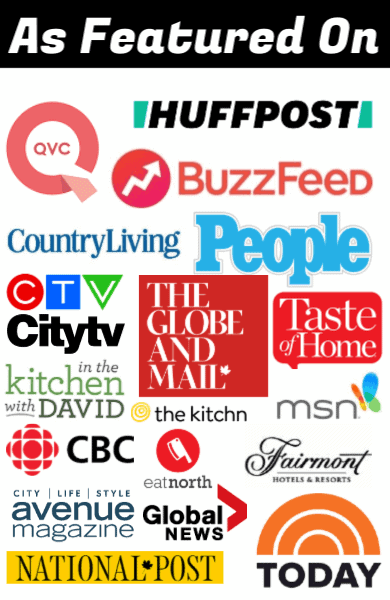 Canada does have successful bloggers and we should be shouting it to the rooftops! PS – your fashion sense did get better! What an incredible retelling of your family fishing (and foraging) tradition! It is so true, that the passing of these traditions to our children is the only way to preserve them. Getting that exercise, fresh air, incredible family time, all rewarded by a great meal at the end of the day is the foundation that great families are built upon… the foundation that great countries are built upon. We didn’t fish.. but we always had wild fish. Always. How I miss it now. My dad’s dear friend supplied our family with fish all my life living at home… and then some. 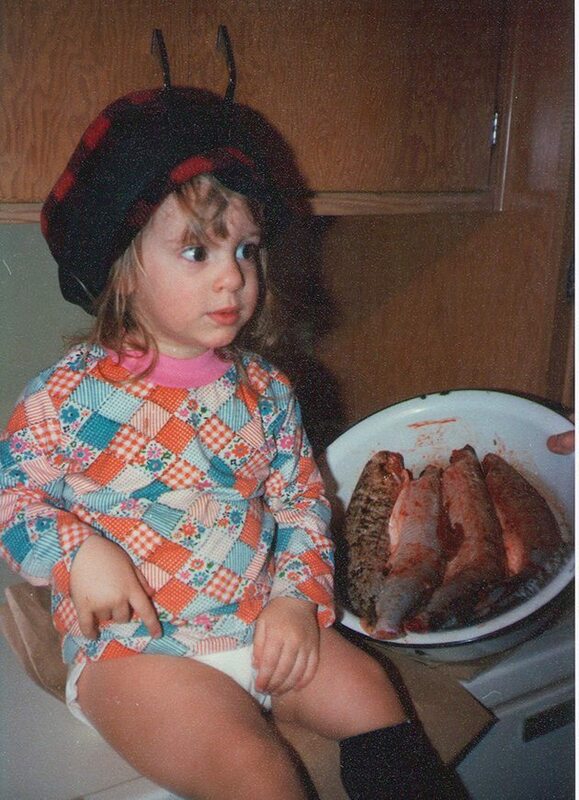 So, I was also raised on it… and did go fishing a few times. Really enjoyed it. We just didn’t have a boat. My dad worked shift work, and I kind of sense there wasn’t time, nor money to do that when I was young… but I am so thankful for those Canadian freshwater fish meals and memories. And sadly, my own children have not shared them which is, sadly, more typical that your story. Fishing with children would be a great summer camp… Explain how the licensing and quotas work now. They really weren’t in place when I was a kid. ACanadianFoodie The licensing and quotas are some complex, you simply MUST buy a fishing guide each and every season to check lake to lake what the regs are. It’s a very different time and it’s VERY different province to province, we don’t have the lakes/fish that Saskatchewan and Manitoba do! @bellini Oh, I wish I could outfish my dad!! We also always had wild caught fish. Pickerel was out favourite. My uncle drove north to the Lac La Ronge area many times each summer and my father also went a few times every year. It was one of our staples. Good choice. sgalvin Thanks! It was the first thing I can remember, with morel mushrooms and Saskatoons coming in close. Pickerel was our favorite as well! thekitchenmagpie sgalvin Morels? Really? I had never heard of them until I moved to the big city. But then my father hated mushrooms! We always considered pike, or jack as we called it, to be an inferior fish and prized the pickerel. And even my sister this weekend, turned her nose up a little at the thought of summer pike! Oy, that family of mine 😉 It’s just been bred into us, I guess. My first favorite Canadian memory was the ice man, the chinese grocery man, and the rag man with their horse and buggy trotting down the street and we kids running after them trying to jump on the back of the buggies for a ride. The Chinese grocery man got especially mad at us which made it all the more fun! The ice man would always pick off a chunk of ice for us to eat and the memory of it dripping down my arms still remains. As for food, being Brit born and my mother being a Brit war bride, roast beef and yorkshire pudding was first and formost for Sunday dinners with the leftover meat and gravy served on toast every Monday. My father was Canadian born and his favorite thing was frying greasy bacon & eggs then frying thick slabs of homemade bread in the bacon fat until it was crispy brown. I loved it at the time but doubt I could stomach the same today. We had little fish or game, my father didn’t fish or hunt, but to this day I remember my Father bringing a roast he’d been given for Mother to cook, which turned out to be horse meat. Being an avid horse lover as a child, I was horrified when Father told us what we’d just eaten, and thought I’d be sick forever because I ate a beautiful horse. Joycelyn I love the ice man memory! That is so wonderful..it’s a bit dating but it’s so lovely to hear it! Horse!! My goodness what a memory that is! Saskatoons. We’d pick them while camping and an aunt would make a pie. Kraft Dinner with weenie slices and ketchup. Remember the Kids in the Hall sketch where they sang about feeding their tapeworms?